Keith Deanes Car Wash Nenagh Tipperary. 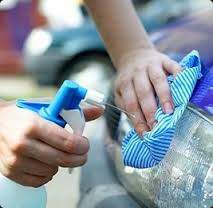 Our Full Valet service is a thorough clean and detailing service leaving your car looking and feeling like new. Our Full Valet is excellent value for money. For most of us our car is one of the most expensive purchases we will make in our lifetime and with this in mind our experienced staff at Keith Deane's are committed to providing the best possible care for your car. Staff at Keith Deane's are fully trained. Each vehicle is cleaned to an exceptionally high standard. We make your car sparkle! We have also just introduced a household carpet cleaning service. Prices start from €30. Valet prices to suit everyone's pocket with prices ranging from €30 to €130. Loyalty card avaiable from €100 valet upwards, which allows you €20 off. When you ring for a quote, my word is my bond on price!